The company has updated the inferred resource to 4.5 million tonnes at 1 percent tin equivalent, nearly double the previously reported resource. 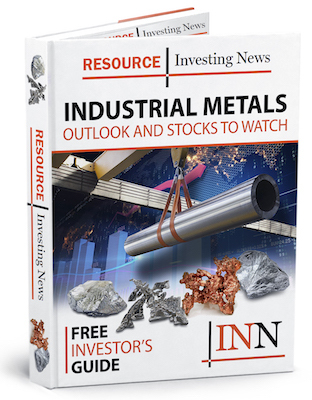 London-listed Strategic Minerals (LSE:SML) has increased the inferred mineral resource for its tin-tungsten Redmoor project in Cornwall, the company reported on Tuesday (March 20). The company has updated the inferred resource to 4.5 million tonnes at 1 percent tin equivalent, nearly double the previously reported resource for the project. “We believe that the 1 percent tin equivalent resource grade is truly world class,” said Managing Director John Peters. The company has identified a high-grade exploration target of between 4 and 6 million tonnes grading between 0.9 and 1.3 percent tin equivalent. It has also established high-grade exploration potential both below and to the west of this target. “The inferred mineral resource estimate and exploration target provide another milestone on the path to the creation, again, of a working tin mine in the area,” Peters added. The resource update, which was completed by SRK Consulting, includes 0.37 percent tungsten, 0.25 percent tin and 0.57 percent copper. The resource update has identified continuity of the mineralized zone over a strike length of around 1,000 meters and for around 450 meters down dip. “[The updated resource also] demonstrates the potential for the Redmoor project to host sufficient high-grade tungsten, tin and copper mineralisation to support an underground mining project,” Peters said. The Redmoor project is operated by Cornwall Resource, a 50/50 joint venture between Strategic Minerals and New Age Exploration (ASX:NAE), which holds a 15-year exploration licence over the asset. Looking ahead, the company is working to bring the project to prefeasibility study level in 2019. On Tuesday, shares of Strategic Minerals closed down 4.3 percent at GBX 1.89. The company’s share price has been on a downtrend since January, and has sunk 6.8 percent year-to-date. Securities Disclosure: I, Priscila Barrera, currently hold no direct investment interest in any company mentioned in this article.